Robin Shifflet initially attended Cal Poly San Luis Obispo as a bio-science major, but after nearly blowing up the chemistry lab, she realized it was not her calling. Taking an inventory of her interests (history, architecture, art and horticulture), she changed her major to landscape architecture, graduating in 1982 with honors. She landed an apprenticeship with landscape architects Wimmer, Yamada & Associates (now Wimmer, Yamada & Caughey) and obtained her landscape architecture California state license in 1987. 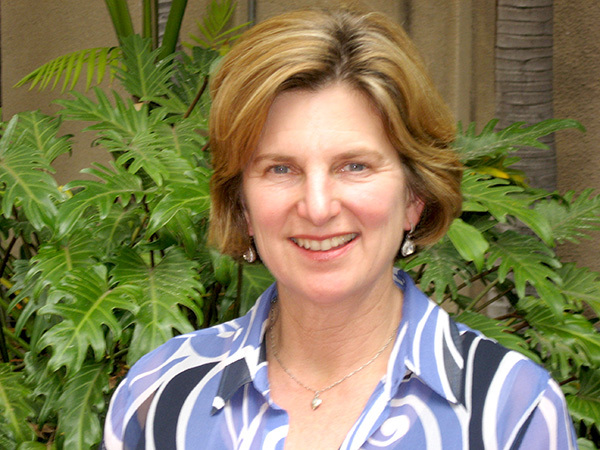 She formed her own firm in 1992 and then went to work as a landscape planner for the city of San Diego in 1995. Now, Shifflet heads up the planning effort for the city of San Diego’s Parks Master Plan. As the manager for the Park Planning section of the city’s Planning Department, she is working with the city’s consultant, AECOM, on a three-year citywide planning effort to shape the future of parks, recreation facilities and programs. The city’s last parks master plan was written in the late 1940s and only contained maps of parks the city managed. “Working in the public realm requires patience and the understanding that the public policy takes time to develop and implement. It is important to be a good listener and to be able to find a compromise among various stakeholders,” she said. As all jobs do, Shifflet’s job comes with some unique challenges. Today the city is the second largest in the state of California and its changing demographics and lifestyles are reshaping recreation needs, programs and the meaning of what a park is. It has 52 community plan areas and many of these communities are built with little land left for traditional parks. Many were built prior to the current park service levels the city requires today (2.8 acres per 1,000 residents) and therefore there is not an equitable balance of recreational resources across the city. “In addition, it’s not only hard to find land for future parks, but also land is very expensive to acquire,” she said. The city manages more than 42,000 acres of land and yet only 3,000 acres is used for neighborhood and community parks. In this planning effort, the city will look for opportunities to use more city-owned land to meet park needs. The San Diego Parks Master Plan will also address options for funding the needs of existing parks, the creation of new recreation facilities and recreation programs. Along with new funding sources, an implementation plan will be prepared for the near-future and long-term needs. “I’m excited that this planning effort for the Parks Master Plan has started and that the plan will be a roadmap for creating a world-class parks and recreation system. It will be relevant to changing needs, make parks accessible to all community members, and celebrate the unique qualities of San Diego,” she said. In addition, Park Planning is working on the redevelopment of DeAnza Cove in Mission Bay Park. Current planning efforts for this site include guest housing, regional parkland, bike and pedestrian paths, interpretive overlook areas and new habitat areas. At the same time, the Fiesta Island plan is moving forward to create a more efficient roadway system, regional park land with children’s play areas, and tent camping areas. Shifflet is excited about the following projects. Shifflet received unanimous approval of the master plan from the communities along the river and the City Council adopted the plan in May 2013. 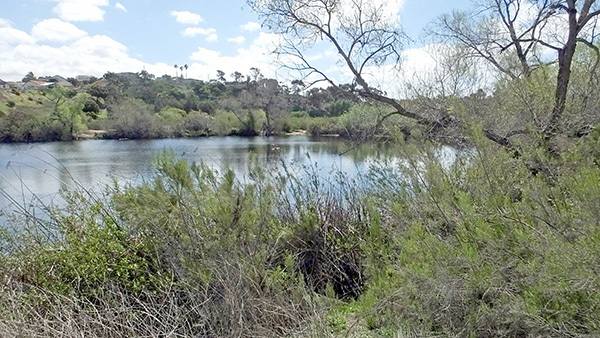 Located along 13 miles of the Otay River from South San Diego Bay to the Otay Lakes, this park is made up of approximately 8,500 acres of open-space lands. In this joint effort with the County of San Diego and the city of Chula Vista, Shifflet wrote the design standards and guidelines for the park, and then went on to build the first trail segments and ranger station. 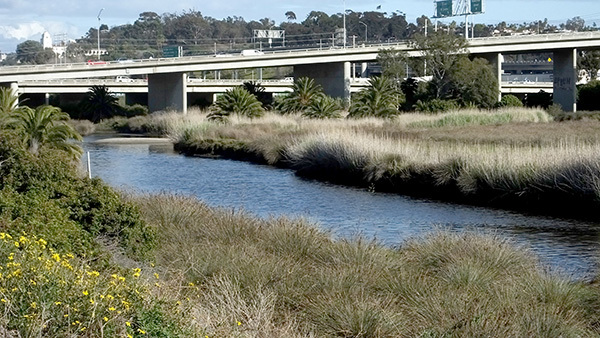 In 2009, the American Society of Landscape Architects, San Diego chapter (ASLA SD) awarded the project the Urban Design Merit Award for the thoughtful planning and sustainability of the trail system. Active in ASLA SD, Shifflet served as a National Trustee, and its 20th past president. During her presidency, she conceived of the Chapter Community Grant to assist nonprofit groups with projects that improve the environment and enhance community awareness of the profession of landscape architecture. Shifflet lives in North Park with her husband and can be found hiking in the foothills of San Diego, traveling to faraway places, and enjoying local IPAs with friends and family.